Looking to reduce energy cost and space with increased performance? HP Common Slot Power Supplies share a common electrical and physical design that allows for hot-swap, tool-less installation into HP server and storage solutions. 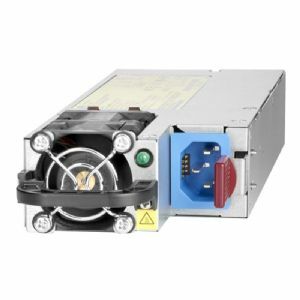 These power supplies are available in multiple, high-efficiency input and output options, allowing you to "right-size" a power supply for specific server/storage configurations and environments. This flexibility helps to reduce power waste, lower overall energy costs, and avoid "trapped" power capacity in the data center. The power supplies provide the IT industry's highest level of power efficiency (up to 96%), helping users to reduce power requirements per server and reducing overall data center power requirements. The Platinum Plus and Titanium power supplies also enable HP Power Discovery Services which focus on increasing compute density while reducing data center outages.